In food categories, home cooking-related categories, including fast cooked noodles and frozen food, are still in growing trend. Cooking for family is a way of showing love and caring. Besides that, new products he healthy concept products like Fresh milk and solid yogurt also performed well. we also observed that RTD tea、potato chips and Bubble water successfully grab attention and create trials by launching new products. In non-food categories, the highlight of 18Q1 is the panic buy of toilet paper, the price panic triggers the desperate run on toilet paper, most of the manufactures/retailers grew significantly in panic buy. However, we expect consumers will return to market at least 6 months later. Dish wash, another growing category, perform well in recent years due to the increasing demand in cooking related categories, consumers prefer natural and concentrated function with low price products. Last but not least, something beautiful will give pleasure long, consumers pursue beauty image makes makeup maintains strong momentum. 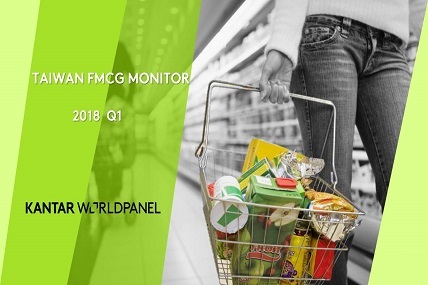 Channels: Costco contributes the growth of hyper market, and shows good performance in food categories. Online maintains the growing trend in both food and non-food market, top 5 accounts for 50% of the EC share.